The new appointment with the Erasmus orchestra is a special event devoted to the values of culture and legality in Europe. 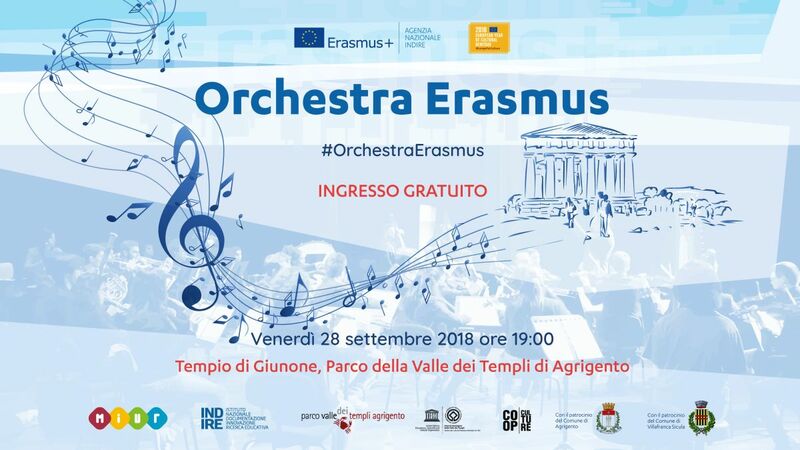 On Friday 28th September in the Archaeological park of the valley of temples in Agrigento, the musical ensemble made up of more than 50 Erasmus musicians, coming from conservatories and music institutes from all over Italy, are going to perform once again, conducted by the maestro Elio Orciuolo. The evening event entitled “Culture and legality in Europe” carries a deeply symbolic meaning and aims to cast light on the strategic role of education in the dissemination of a diffused culture of legality. Before the concert, in the presence of institutional representatives of the Miur, Indire and local institutions, there will be a ceremony to remember mafia victims and relaunch the values of openness and inclusion promoted by the Erasmus+ programme. The event, free of charge, will start at 7:00 pm. In case of rain, the event will be held at Palacongressi (Agrigento, S.S. 115 Villaggio Mosè). The initiative is organised by Indire’s national agency Erasmus+ in collaboration with the Archaeological Park of the Valley of the Temples and local administrations. The concert is part of the events organised by our agency for the European Year of Cultural Heritage among which we point out the international conference “Paths towards Citizenship through European Cultural Heritage” scheduled for the 26th and 27th September in Palermo. The Erasmus orchestra was created in March 2017, on the initiative of the Indire’s Erasmus agency on the occasion of the celebrations for the 30 years of the European mobility programme. The orchestra aims to promote the values of the Erasmus generation that is open, dynamic and supportive and the values of Europe, by using music as a metaphor of integration, encounter and development of competences beyond any linguistic, geographical and cultural barriers. Since its first performance, during the Festival of Europe 2017 in Florence, the orchestra’s performances have been highly successful. 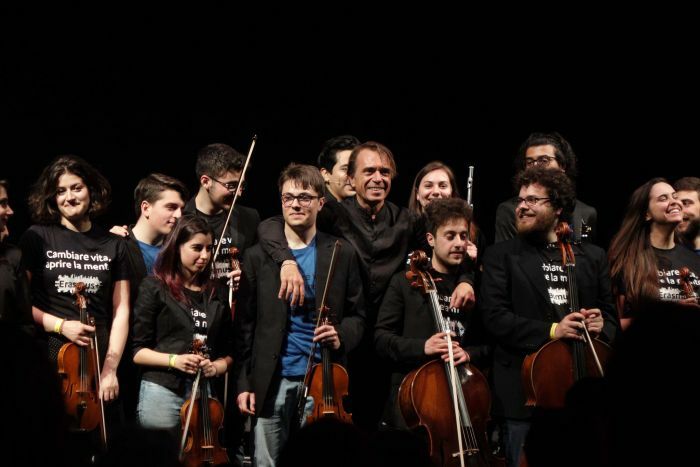 Last year the orchestra performed in Florence at the opening ceremony of Fair Didacta Italy and at Strasbourg University for the Erasmus Days. In May, it played in the Concert for Europe at the Brancaccio theatre in Rome.